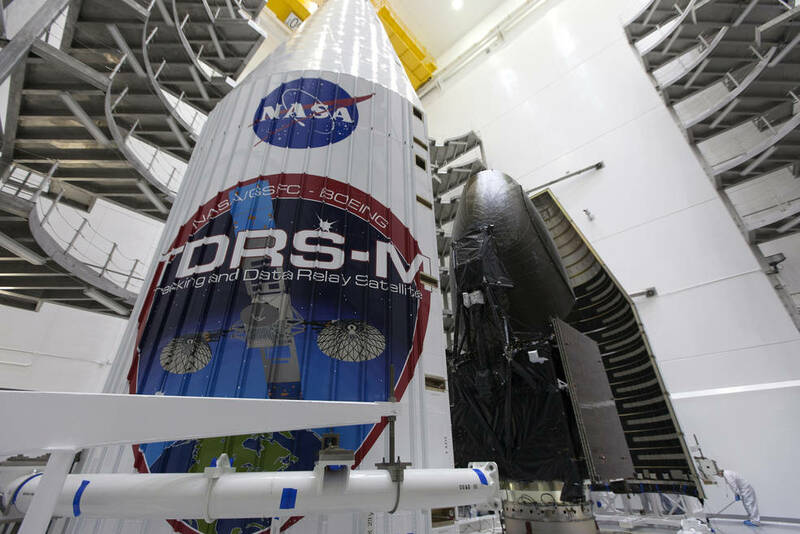 August 15, 2017 – NASA is targeting 8:03 a.m. EDT Friday, Aug. 18, for the launch of its next Tracking and Data Relay Satellite (TDRS) mission atop a United Launch Alliance Atlas V rocket from Cape Canaveral Air Force Station in Florida. The launch, and related activities that begin Thursday, August 17, will air live on NASA Television and the agency’s website. TDRS-M, built by Boeing, will provide NASA’s Space Network the ability to support critical space communication into the mid-2020s, ensuring scientists, engineers and control room staff can readily access data for missions like the Hubble Space Telescope and the International Space Station. NASA TV also will air a prelaunch Social Live briefing at 2 p.m. on Thursday featuring some of the speakers listed above, as well as NASA astronauts Steve Bowen and Nicole Mann, among other guests. Participants can submit questions for the social briefing online using #askNASA. Launch coverage will begin at 7:30 a.m. on Friday with commentary leading up to the 8:03 a.m. start of a 40-minute launch window.